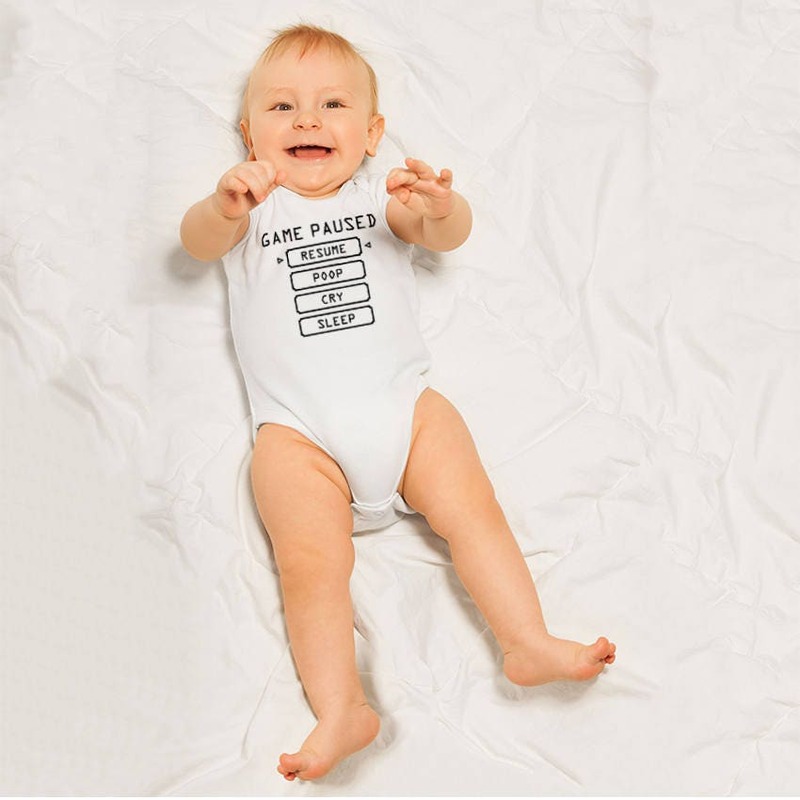 Baby Pause Menu by Level1Gamers, is the gamer bodysuit you didn't you know you needed! 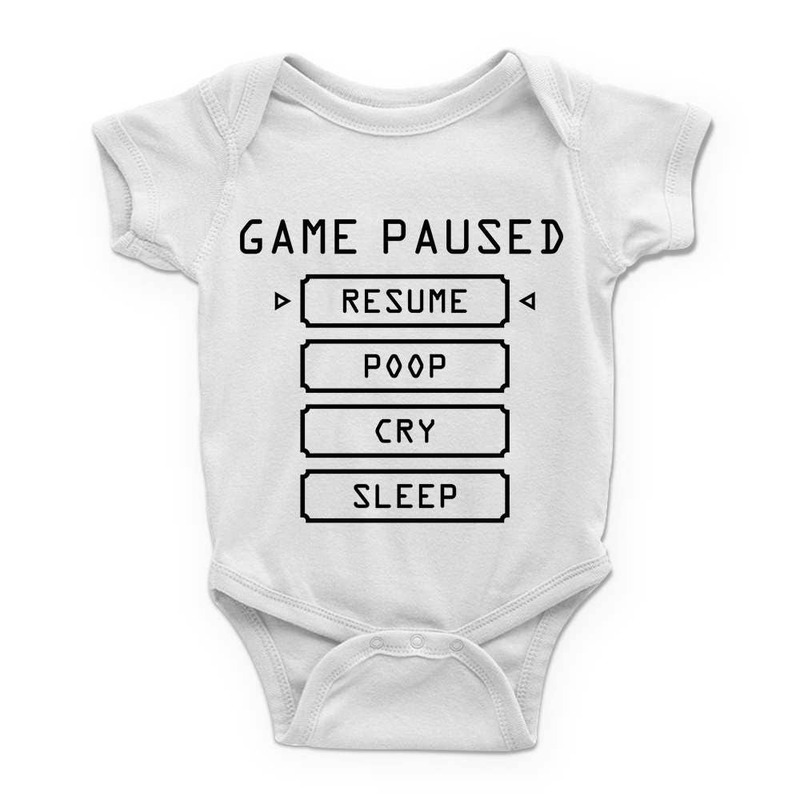 Get your gamer baby this funny one piece to wear around the house. 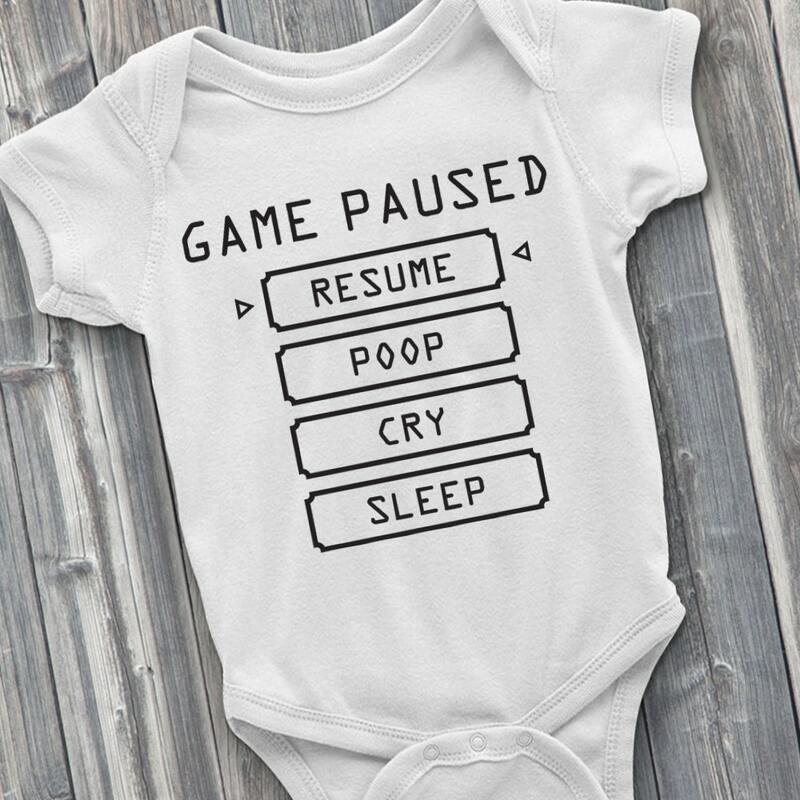 Makes a great new mother gift for that gamer parent you know, who is looking for a new video game baby bodysuit to show off to their friends! Great as a baby shower gift or just as a new baby gift. 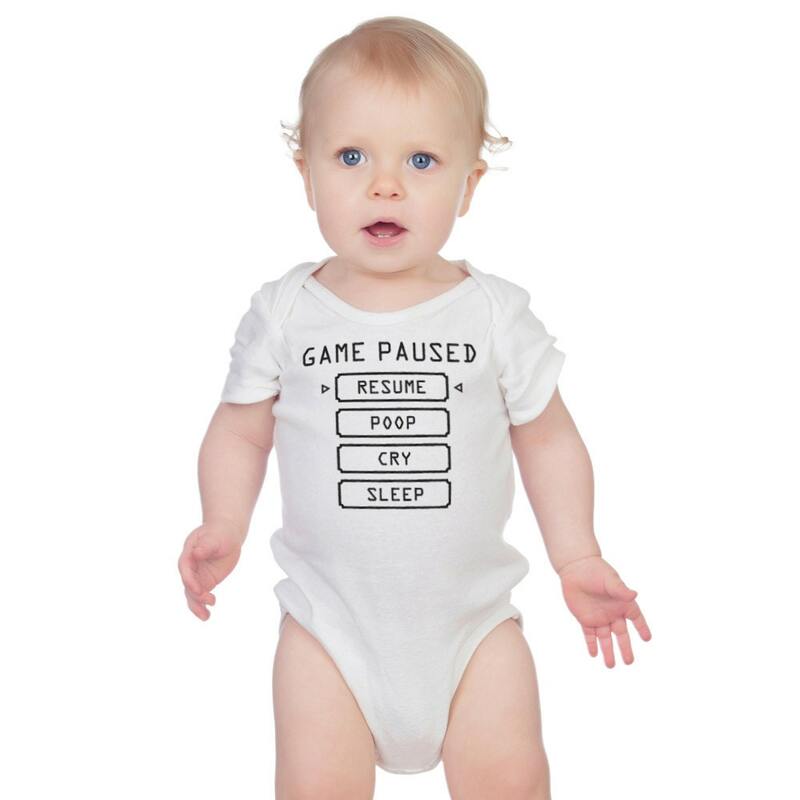 We hand press each 100% white soft cotton bodysuit with high quality, machine washable heat transfer vinyl. 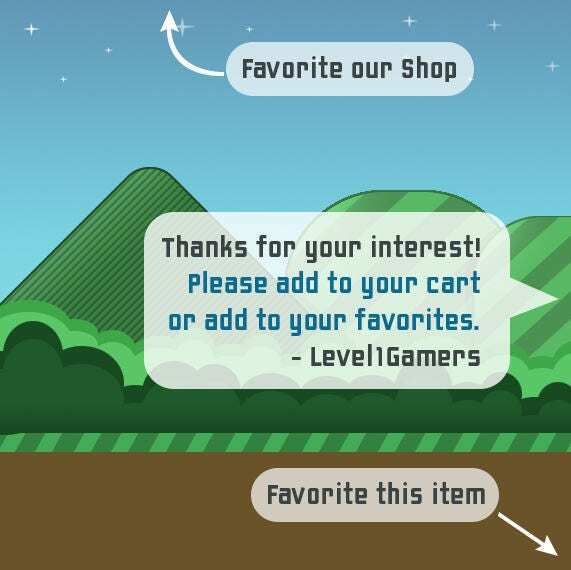 Bodysuits are unisex and come in a variety of sizes. Care Instructions: Machine wash bodysuits inside out, hang or lay out to dry.